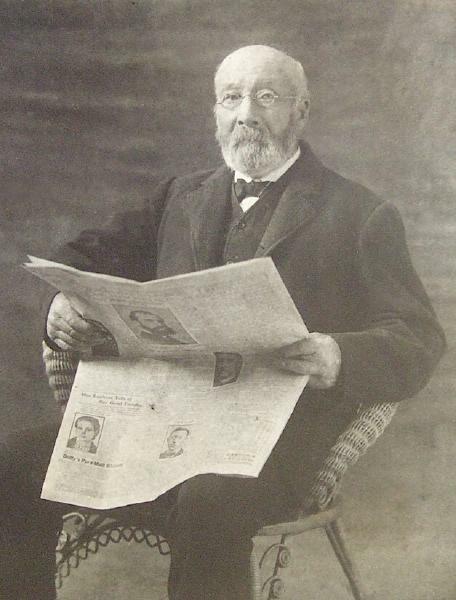 Henry Sierk was born on 27 May 1823 in Schleswig-Holstein or possibly 27 December. He married Lena Oldswager, daughter of Marcus Oldswager and Abel Sievers, say 1850. 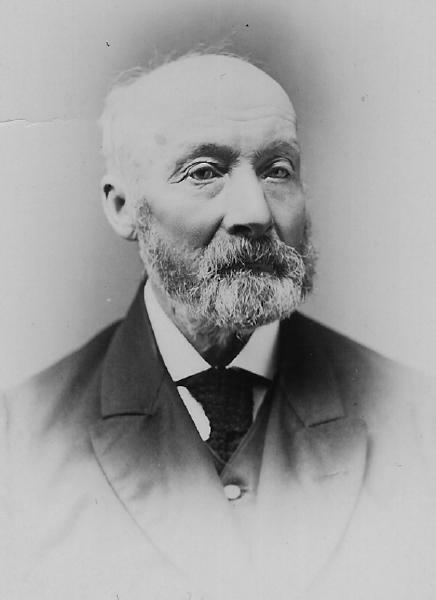 Henry Sierk became a widower at the circa 1852 death of his wife Lena Oldswager. He married Elsabe Oldswager, daughter of Marcus Oldswager and Abel Sievers, on 8 February 1853 in New York City, with Rev. Mr. Stohlmann officiating. 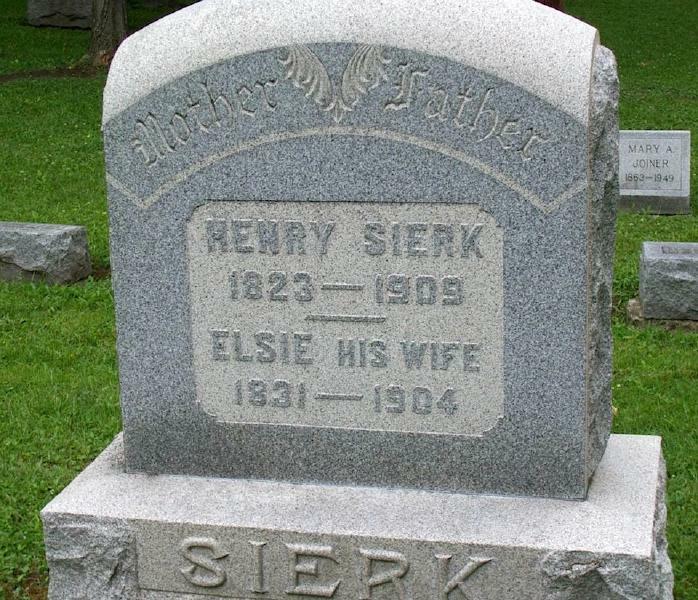 Henry Sierk became a widower at the 18 February 1904 death of his wife Elsabe Oldswager. The following appeared on 28 December 1905 in The Daily News: At the home of Henry Sierk yeterday, three miles south of Attica, his two younger daughters were married, Miss Augusta to Charles Johnson of Bennington and Emma to Walter Schlenker, an Attica widower whose 12 children were present at the wedding. Henry Sierk died on 12 April 1909 at age 85 in Wyoming County, New York. The following appeared on 26 August 1909 in the Silver Springs Signal: Henry Sierk, Sr., an aged resident of Bennington, died Aug. 13th [sic] after a long illness. He was 85 years old last December.